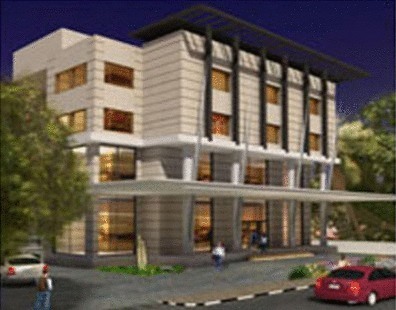 Keys Hotel, Kattima, Chennai now offers you redefined hospitality in a city that breathes tradition. All of the 26 elegantly and self contained rooms cater to the demand for efficient, hygienic and secure accommodation. Chennai, your celebrated business and leisure destination in the subcontinent offers Keys as a world class hospitality facility to the visiting entrepreneur. Like, at all the other Keys facilities, Keys Hotel Chennai flaunts a professional infrastructure for the visiting corporate and real value offers for walk-ins. The facility makes a luxury statement keeping the business and leisure traveler in mind. Keys offers a real value, budget centric tariff that is inclusive of access to fine living accommodations, multi-cuisine options and conferencing venues. The business centric ambience also offers you an array of delectable and hygienic food platters, a travel desk that addresses all your business needs, itinerary adjustments, transportation and on-the-go meals, in-room business work spaces, 24×7 Wi-Fi, fully equipped business-center and 24-hours room service. Explore the business potential and vivacity of Chennai from the Keys facility, replete with staff and accommodations that exclusively address the special needs of single women and handicapped guests too. Public access areas are with ultra modern security gadgetry, adventure tourism activities designed and iterated in house, business specific facilities and assistance and real value quality living at Keys Hotel Chennai help you take pivotal business decisions while you rejuvenate and revitalize amidst planned tranquility! Keys Hotel Chennai is replete with all the fine living and dining facilities that you need to pamper you whilst delving into the business and leisure experiences that Chennai has on the cards. The facility is designed to address the needs of both, corporate and exclusive vacationers. Elegantly designed rooms, business specific venues and ports and recreation arenas enable you to explore the dynamic Chennai splendor. 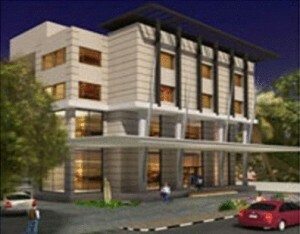 Room coordinates Keys Hotel Chennai flaunts 26 elegantly designed rooms. These comprise 3 Women’s secure rooms and a room for the physically challenged specially designed on the 1st floor of the facility. Food & Beverage extravaganza Keys Café at Keys Hotel Chennai offers you a scrumptious and wholesome breakfast between 7am and 10:30am. The Lunch hours between 12noon and 3pm and Dinner timings between 7pm and 11pm give you more reason to explore opportunities in-house. Unlock – The Restobar Experience Between 11am and 11pm, Unlock – the Keys Restobar takes the Chennai experience in fine dining to new heights. The array of mock-tails and interesting beverages redefines taste and texture amidst traditional setting. If you have not decided yet or wants to customize tour itinerary or hotels listed above in "4 Star Keys Hotel Kattima Package in Chennai Starting at Rs.3400/-", then we can change the travel itinerary and make a personalized, tailor-made holiday package, especially for you. We can modify this travel package as per your itinerary, budget, duration and the tourist places you would like to visit, including transportation and airfare should be included or not. Please fill the form below to contact us.